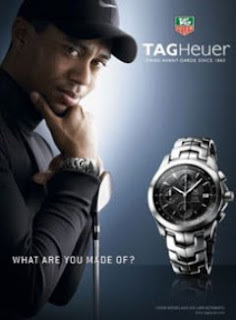 TAG Heuer Ambassadors: Brad Pitt, Uma Thurman, Tiger Woods, Maria Sharapova, Jeff Gordon, Kimi Raikkonen, Yao Ming, Shah Rukh Khan and Juan Pablo Montoya. For decades, wristwatches have been endorsed by celebrities of the stage, screen and sports world. Ambassadors chosen for their qualities and abilities, as a retribution to their efforts and commitment towards their objectives. 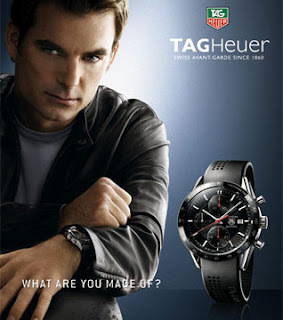 Some of TAG Heuer’s ambassadors for ‘What are you made of campaign are: Brad Pitt, Uma Thurman, Tiger Woods, Maria Sharapova, Jeff Gordon, Kimi Raikkonen, Yao Ming, Shah Rukh Khan and Juan Pablo Montoya. William Bradley “Brad” Pitt was born on December 18, 1963. He is an American actor and film producer, also cited as one of the world’s most attractive men and received two Academy Award nominations and four Golden Globe Award nominations, winning one. Uma Karuna Thurman was born on April 29, 1970. She is an American actress that has performed leading roles in a variety of films, ranging from romantic comedies and dramas to science fiction and action thrillers. She is best known for her work under the direction of Quentin Tarantino. Her most popular films include Dangerous Liaisons (1988), Pulp Fiction (1994), Gattaca (1997) and Kill Bill (2003–04). Eldrick Tont Woods was born on December 30, 1975. Better known as Tiger Woods, he is an American professional golfer whose achievements to date rank him among the most successful golfers of all time. Currently the World No. 1, he was the highest-paid professional athlete in 2008, having earned an estimated $110 million from winnings and endorsements. Maria Yuryevna Sharapova, was born on April 19, 1987. Sheis a former World No. 1 Russian professional tennis player and three times Grand Slam singles champion. Jeffery Michael “Jeff” Gordon was born on August 4, 1971. He is a professional American race car driver born in Vallejo, California, and raised in Pittsboro, Indiana. He currently lives in Charlotte, North Carolina. He is a four-time NASCAR Winston Cup (now Sprint Cup) Series champion, three-time Daytona 500 winner, and driver of the #24 DuPont / Pepsi /United States National Guard Chevrolet Impala. He, along with Rick Hendrick, are the co-owners of the #48 Lowe’s sponsored team, driven by Jimmie Johnson, who won the 2006, 2007, 2008, and 2009 Sprint Cup series championships. Gordon also has an equity stake in his own # 24 team. He also became the first driver to reach $100 Million in winnings for the Cup series in 2009. 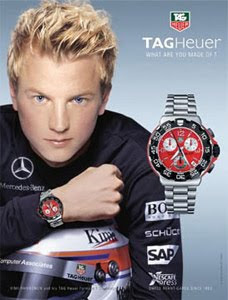 Kimi-Matias Räikkönen was born on October 17, 1979 in Espoo. Nicknamed Iceman, is a Finnish racing and rally driver. After nine seasons racing in Formula One, in which he took the 2007 Formula One World Drivers’ Championship, he will now take part in the World Rally Championship for the Citroën Junior Team in 2010. Shahrukh Khan was born on 2 November, 1965. Sometimes credited as Shah Rukh Khan, he is an Indian actor and a prominent Bollywood figure, as well as a film producer and television host. 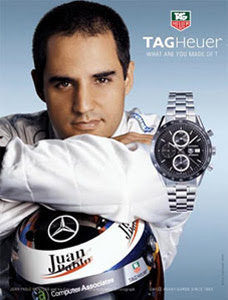 Juan Pablo Montoya Roldán was born on September 20, 1975. He is a race car driver in NASCAR and a former Formula One and CART driver. He currently drives the #42 Target Chevrolet Impala for Earnhardt Ganassi Racing in the Sprint Cup Series.